Since the beginning of the so-called industrial revolution, Industry 4.0, we have immersed ourselves in the “never before seen” era of technologies that satisfy both our “thirst” for a modern, convenient way to shop, and smart, secured and user-friendly retail management systems. These advancements in conjunction with the rise in social media usage have created a new terminology: “omnichannel retailing”, providing a uniform, seamless shopping experience for the customers across all channels of sales. E-commerce giants like Amazon and Alibaba are becoming the dominant players in the retail game. Despite the fierce competition, brick-and-mortar stores are still a preferred shopping platform among many consumers. To aid the demand for a better way to shop, consumers were introduced self-checkout service and mobile payment method available on both Android and iOS systems. But things are not stopping there! 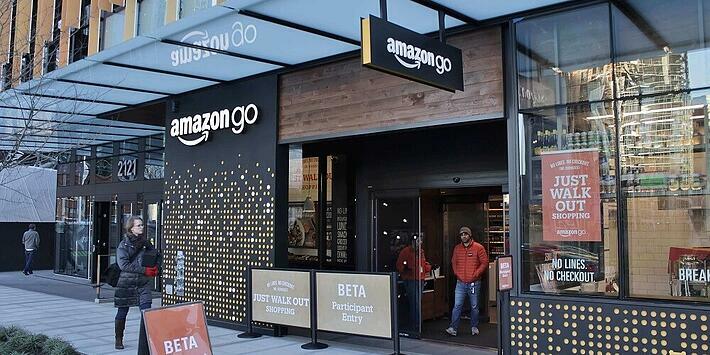 Inspired by the demands for an exceptional omnichannel retail experience with no line, no checkout, as well as the utilisation of business intelligence and machine learning, Amazon Go was born. Imagine you can just walk into the store, roam through various aisles and pick up your groceries directly from the shelves. After a while, you are done with your shopping, you simply just walk out. You are instantly charged and a receipt is sent to your mobile device detailing the purchase. Even though the concept is still in its testing phase, available only to Amazon’s employees, it has already sparked the interest in many curious minds. The concept of Amazon Go was created not without a purpose, it was created to collect insights from the consumer’s purchasing behaviours in which Amazon can mine from. What products the consumer is looking at, how do they browse, etc? All are valuable insights but greatly undermined. Deep machine learning: heavy loaded with predictive algorithms to generate layers of data and in turns transform those data into easy to read information. Computer vision: obtains digital images and videos, transform them into numerical or symbolic information. Sensor fusion: compile data from different, disparate sources to compute in a meaningful way. The technology, as stated on Amazon Go’s website, is similar to that of a self-driving car, products are detected when they are taken from/ returned to the shelves and then added to a virtual cart. All transactions will be charged via the customer’s Amazon account. What are the challenges that Amazon Go might face? As previously mentioned, the concept store is still in its testing phase which essentially requires lots of modifications. One of the challenges is how to manage misplaced products. In an ideal world, retailers would be expecting consumers to return unwanted goods back to their specific shelves before proceeding to checkout. However, what is the odds of it happens in the real world? Once or twice, we’ve seen people leave stuff at random places, and let’s be real, if you are in a pinch, most likely you will behave the same. Another challenge that Amazon Go might face is pricing produce as they are charged by weight. There is an abundant amount of tech-savvy people that are into a healthy lifestyle, therefore acquiring a designated area for fresh produce is a must in every retail shop. Finally, how will Amazon Go handle scepticism from the public? Even the most tech-savvy would feel hesitant to try out new restaurants, let alone experiencing the entirely new way of buying groceries. The process of educating and persuading the public to use this new service might be painstakingly slow. Go back to the mobile payment apps case, according to the FRB's report in March 2016 on the mobile guide, 91 percent of respondents stated they had not used a mobile payment app to make in-store payment. Amazon has always been ambitious and creative in the way they work. And even if Amazon Go turns out to be a “flop”, it is still truly an innovative notion that pushes modern technologies to the limit. Through the project, we can all learn that data is crucial and at the core of this universe. Being able to mine it with the help of AI and analytics, your organisation will thrive, lead and reach new heights that you all dream of.